Stuff authored by me follows the idiom and spelling of UK English usage, E&OE. The mark-up schemes are designed to be Gecko-friendly to celebrate Mozilla. Efforts have been made to adjust for Lynx. All .html files are checked for HTML-compliance using HTML Tidy from W3.org. .pdf files are generated using HTMLDOC Version 1.8.16 Copyright 1997-2001 Easy Software Products, LaTeX and ESP Ghostscript, or OpenOffice.org. I couldn't do it all without Slackware, Perl, Make, The Gimp, Wine and, most importantly, Elvis and Ellie. Anyone who thinks stuff is broken mail me with the URL. 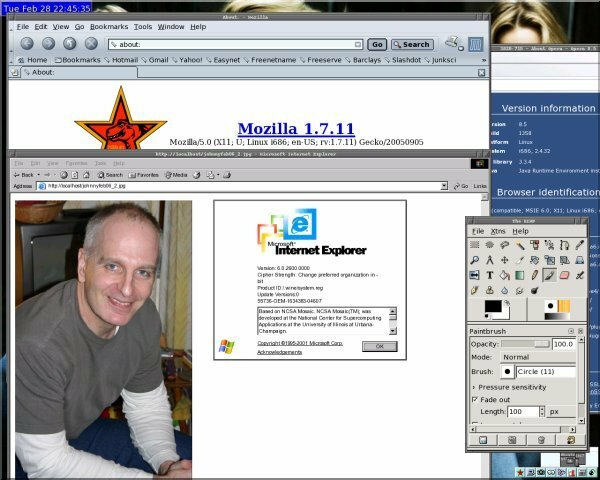 I do try things out on a few different browsers - Seamonkey, Firefox, Opera, Konqueror (standing in for Safari), Lynx, Links, Dillo and, last and least, IE 6.0. No really, this is cutting-edge web tech it's just that I have no aesthetic sensibilities whatsoever - though the blue colour on the homepage is Saltire blue so there is some method in the madness. Sort of. Other authors may be noted in this manner. If you can't find this tag, it's because I'm not aware of the original authorship for whatever reason. Where the content is clearly public domain, and there is a copyright notice to me, I assert copyright to the HTML layout/markup used here. Anyone with copyright quibbles mail me and say your piece. I'm generally game for an argument. I assume the right to place on this website or otherwise publish, transmit, or store, all or part of any correspondence I receive, at my discretion. The reader must understand that, due to the a-priori impossibility of assuring a shared denotation amongst independent agents, nothing (including this message) associated with this site may be expected to contain what the reader perceives to be factual information. Sometimes I may have forgotten the word "allegedly"…please interpolate accordingly. The Web Service Provider bears no responsibility for the content of these pages, I represent no body or organisation, it's me and me alone. I don't get paid for any of this stuff and I have no money, bite me. NFI. This stuff comes with no warranty, express or implied. Your truth is out there, it's for you to find. "What we imagine is order is merely the prevailing form of chaos." Introduction to the 5th Edition of "Principia Discordia."